Finding it hard to decide how to consume cannabis? You’re not alone as many people (especially beginners) often wonder the best form of consumption and the variety of methods doesn’t make the decision any easier. However, consuming cannabis has a lot to do with your preferences as well why you want to use it. To help you find your ideal method of consumption, here are the most popular ways you should know. Smoking is the most common way of consuming cannabis and is most popular with recreational users. It involves packing a small amount of dried cannabis into a smoking device like a pipe, water pipe, rolling papers and a hookah. The key benefit of smoking marijuana is that it gets to your central nervous system faster, offering instant relief and a powerful high. Conversely, it also has its disadvantage which is it that smoking cannabis may expose you toxic compounds (known as carcinogens) which can damage your lungs. Patients with asthma or pulmonary damage are advised to abstain from smoking the flower. Want to enjoy the benefits of smoking cannabis without inhaling the harmful compounds? That’s the benefit that comes with vaping. Vaping involves using a vaporizer to heat the marijuana flower and then inhaling the vapor it produces. Vaporizers also provide quick relief since they can reach the central nervous system fast while eliminating up to 95 percent of carcinogens from the plant material. Vaping is a safer way of consuming cannabis for people who are concerned about the long-term effect of smoking and want to minimize the health risks. Dabbing is a relatively new way of consuming cannabis which is trending among millennial users. Unlike vaping where you heat the flower, dabbing involves heating concentrated extracts to a high temperature before inhaling. 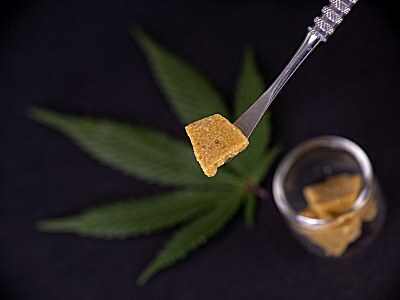 These cannabis concentrates (like shatter and wax) usually have 50 percent or more THC content, making the psychoactive effects more powerful and kick in faster which can be hard for some to handle. However, it’s also a healthy way to consume cannabis, provided the concentrate doesn’t contain any chemical residue. 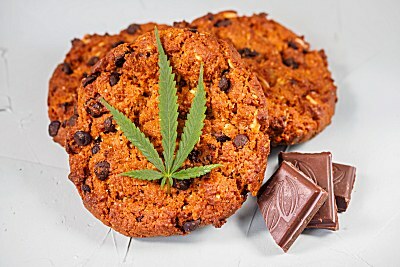 Edibles are a discreet way of consuming cannabis as the foods and drinks are just like any other item on the shelf. The seeming disadvantage is the time lag before you start getting high which is usually from one hour after ingestion. The effects can be stronger than expected, especially when you consume more edibles while waiting to get stoned. However, edibles are a great choice if you are looking to experience the effects for a long period as the effects can last up to six hours before wearing off. Common examples of edibles are candy, brownies, popcorn, sodas, ice cream, chocolate, etc. Tinctures and sprays are generally made by mixing cannabinoids with alcohol, glycerine or coconut oil. They’re to be administered orally – specifically under the tongue. Tinctures offer a way to make the effects of cannabis kick in faster without having to smoke or vape the plant material. It doesn’t have a foul taste either does it hurt the lungs. Simply place few drops under your tongue for the cannabis to dissolve in your mouth, and it will be absorbed through the tissues. The effects typically become obvious between five and fifteen minutes after application. Sometimes, people want to experience the benefits that cannabis brings but without psychoactive effects. If you want to experience quick relief, give topicals a try. They’re an effective option for people who are suffering from pain, soreness or inflammation as they can be directly applied to the area of concern. Generally, doctors recommend cannabis-infused creams to people with arthritis, joint pain, muscle soreness, acne, eczema, and other conditions. Transdermal cannabis patch is an adhesive patch that that’s infused with cannabinoids like THC, CBD or both. When applied to the body, the skin absorbs the cannabis properties into the bloodstream. Patches are another discreet way of consuming cannabis as you can place them under your shirt and experience the day-long relief they bring. All the methods of consumption can be broadly classified into three: inhalation, ingestion, and others. Now it’s up to you to decide the methods you prefer and give them a try to discover which one works best for you. Check out our menu for a large variety of high-quality medicinal solutions: http://westcoastcannabis.club/menu.